The fresh blossoms are placed in sickrooms or on healing altars to aid in the process. The dried petals are also added to healing incenses and mixtures. 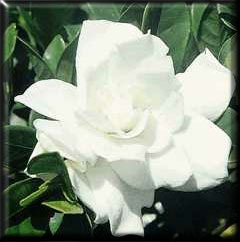 Dried gardenia is also scattered around a room to induce peaceful vibrations and is also added to Moon incenses. Gardenias are used in love spells, and to attract good spirits during rituals. They are possessed of very high spiritual vibrations.